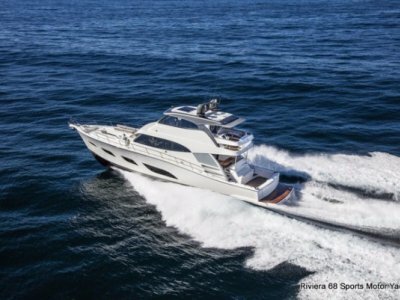 Belize co-founder and Riviera CEO Wes Moxey said: "The marque was born of the desire to work with clients to create a distinctive yacht and we embraced their demands for the highest quality craftsmanship. " "We have been able to include more of everything a client could want in the 66 than any equivalent boat in the world, " said Mr Moxey. With a wide range of options already built into the boat's design, each owner is assured of selecting an individual configuration that will exactly match their boating and personal lifestyles. 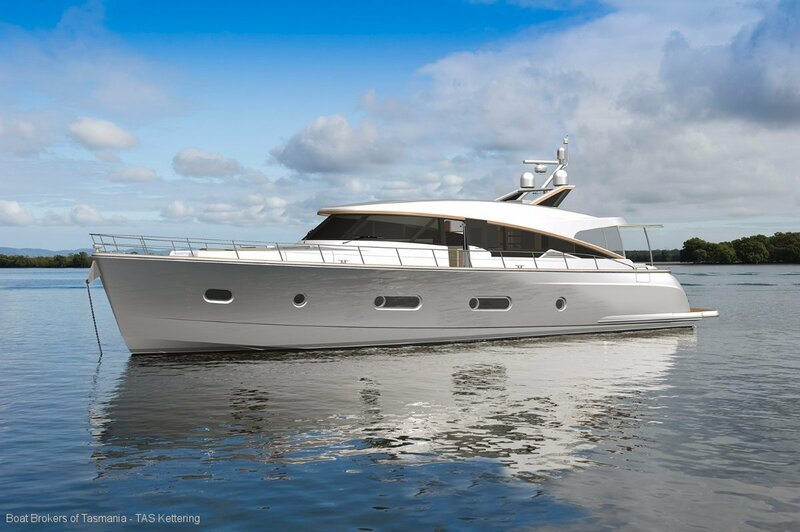 "Many of the design elements in the new Belize 66 have been drawn from our owners who now want something larger and more comprehensive, " he said. "The development of Belize has always been driven by discerning and highly experienced clients who know exactly what they need to make their boating experience perfect, " he said. 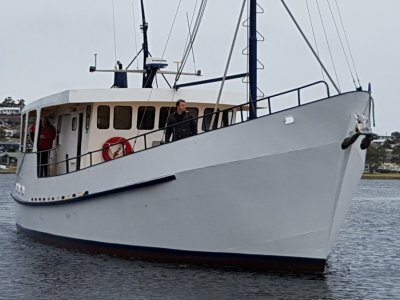 "The quality and uniqueness of the completed yacht is a direct reflection of the many additional man-hours that are invested into every Belize we deliver to clients around the world. " From the moment of arrival on board - via side bulwark doors or the transom gates - the Belize 66 speaks of luxury and Australian practicality at every level. The teak-laid swim platform is built in two section. Step up through the transom gates to the teak-laid cockpit. 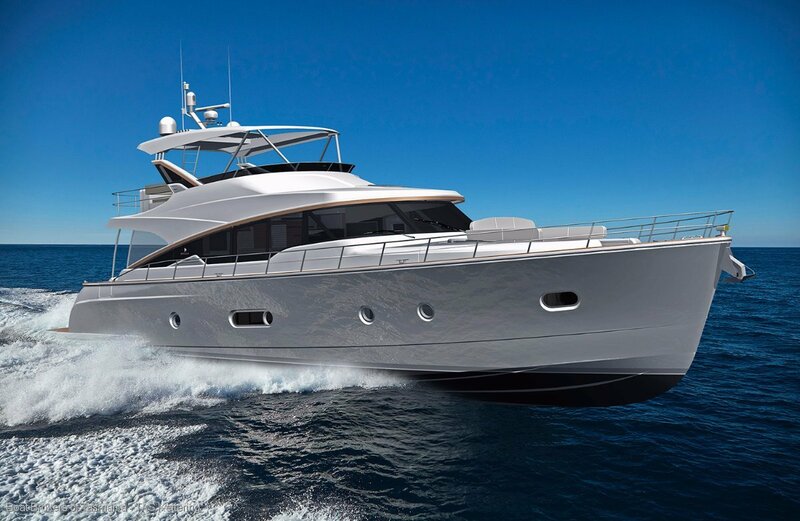 The starboard fore quarter features a dinette and L-shape seating while owners may choose where to place the barbecue; across the transom with a lounge at the port fore quarter - or vice versa. A third option for daybridge owners is to locate the barbecue on the bridge. Walk-around decks lead forward to a massive sundeck where, with the Belize 66 at anchor, sun-lovers will gravitate to the foredeck with its large sunken U-shape lounge and a central dinette table that can be lowered to create - with an infill - a massive day bed. Lounge backrests are stored in lockers on either side and an insulated cold locker for drinks is forward. The entire area can be sheltered from the sun by a fold-up canopy. The lower helm area will reflect the owner's life and boating style. In the daybridge model, those who love alfresco cruising will probably select the optional minimalist helm layout, opting for a large L-shape lounge and coffee table on the port side and a single-seat helm to starboard for those days when the weather dictates under-cover control. 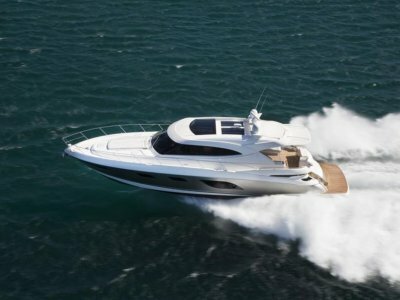 For sedan owners and those boating in cool climates, a more expansive helm is offered featuring a central leather helm chair facing a sports wheel and expansive dashboard with comprehensive navigation systems and controls. Guests are accommodated with a companion seat on the starboard side and a viewing lounge to port. Power for the new Belize 66 comes from the proven Volvo Penta IPS 30 pod drive system, delivering outstanding performance, whisper-quiet ride and industry-leading fuel efficiency. It includes Volvo Penta's Station Hold and joystick control for fingertip manoeuvrability. 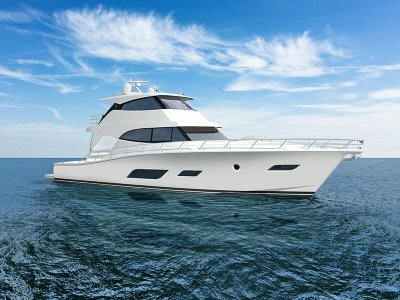 The Belize 66 is now in build with the first boat - a sedan - scheduled for delivery to its owner in the United States in mid-2018. Two more yachts have already been ordered, including a hardtop daybridge model for a client in Australia. The Master Stateroom amidships includes a bathroom on the starboard side and large twin wardrobes. All cabins are fully carpeted. Wardrobes and storage lockers are cedar-lined.